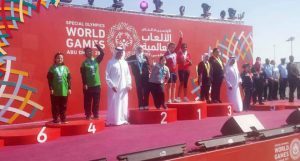 Abu Dhabi, SANA- Syria’s national team has raised the number of medals it won at the competitions of the fourth day of the 1st Special Olympics World Games held in the Emirati capital of Abu Dhabi to 30 gold, 35 silver and 16 bronze medals. 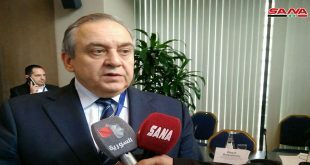 On the fourth day of the competitions, Syrian swimmer Sami Mari won a gold medal in the 50 meters butterfly competitions, while athlete Tasnim Bizreh won a gold medal in the 25 meters freestyle. 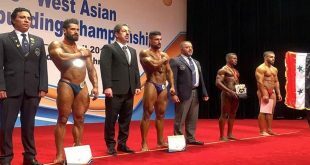 Meanwhile, Syrian athlete Yasmin Badran won a gold medal in Badminton competitions , and Rakan Salameh won a bronze medal. Athletes Rafif al-Haraki and Ikhlas Audieh won a silver medals in the bowling competitions. 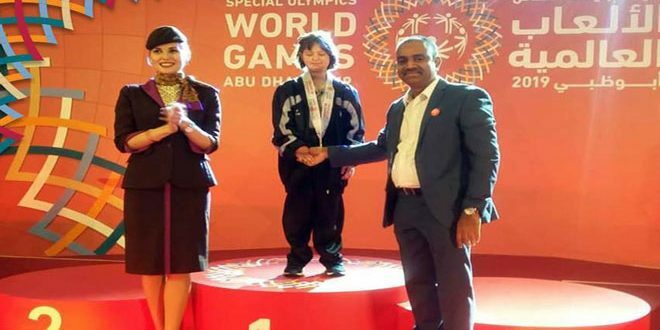 In the tennis competitions, athlete Nour al-Homsi won a silver medal while two bronze medals were harvested by Hanya al-Nabulsi and Obada Yusuf. 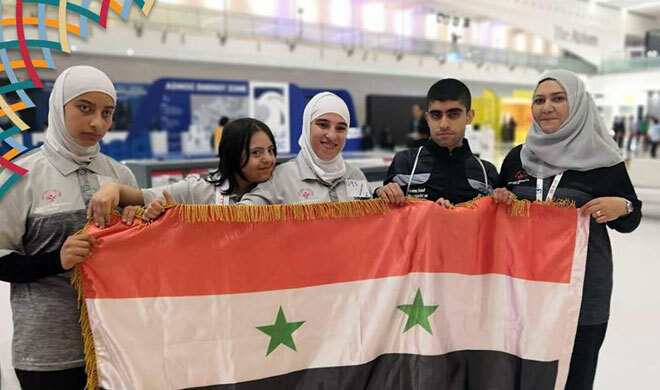 Syrian Athlete Mohammad Hajjar won a gold medal in the 5000 meters running race while athlete Lina al-Deir Atani won 30 meters while Bassem Abdou won a gold medal and Rim al-Najjar won a silver medal.